There are teachers, sensei and masters out there in every shape size and variety. They teach some of anything and everything an aspiring martial artists might want to know. 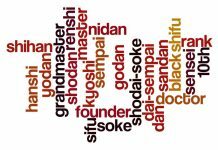 Because they don’t have an oriental cast to their eyes or have a Japanese, Korean or Chinese name doesn’t put there claim to the title of Renshi, Shihan, Hanshi, Sensei, Sifu, Guru or Maestro in question. Sounds a little sarcastic, doesn’t it? As well it should. I’ve become sickened with all the politics and infighting that seems to plague the martial arts community. Things aren’t quite as bad as they were in years past, but we still have a long way to go to achieve any real unity in the martial arts world. 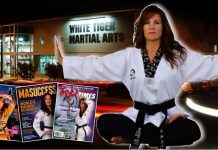 I’ve dedicated the major part of my life to the research, study and teaching of the martial arts. I started my formal training in 1959 but I actually began instruction two years earlier under a brown belt judoka who gave informal instruction at one of the Chicago Park District field house gymnasiums. 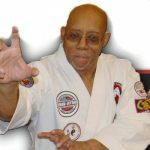 I was a part of the turbulent era of the martial arts in the early sixties that culminated with the unfortunate death of Jim Konservic at the Green Dragon Black Cobra Hall on the North Side of Chicago. I was a member of the old ‘World Karate Federation’ and later a member of ‘Count Dante’s’ Black Dragon Fighting Society. It was a wild and turbulent time in Chicago and karate was a rough and bloody affair in those days. Training was brutal and grueling but some of the toughest fighters of that era could be found in those small and dank dojos in Chicago. 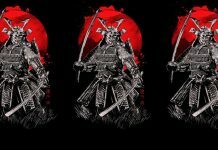 I have recently become incensed again by the backstabbing and back bighting that I’ve become aware of on various blogs, martial arts discussion boards and websites. You’d think that grown folk would get a life and find something better to do. It seems that the only way some people can build themselves up is by tearing other people down. There’s an old saying; “An empty wagon makes the most noise”. I’m convinced that many of these critics of everyone and everything fall into that category. I have my highest rank in eclectic and Americanized Asian martial arts. In reality many of those who think that they are studying a completely traditional art are doing exactly the same thing. Very few Western instructors teach these arts in a completely traditional format. The art, no matter how traditional, is filtered through the mind and personality of the one teaching it. That gives his interpretation of that art a unique flavor independent of the traditions he may have been thought. As a disclaimer let me say that I have instructor rank in several traditional arts. 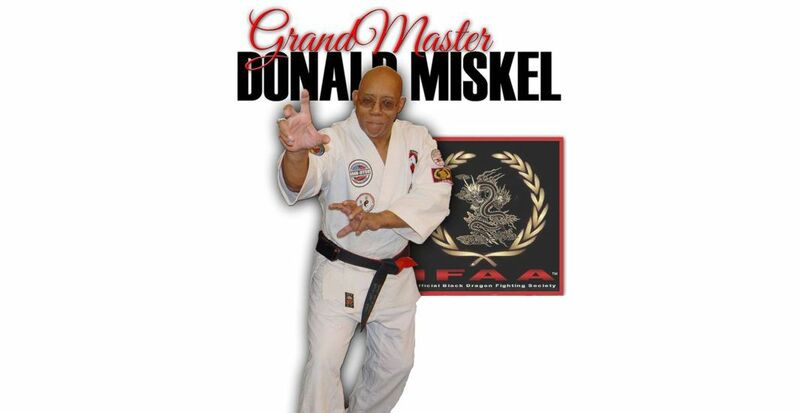 I have trained under a number of Japanese, Okinawan, Chinese and Filipino masters in my martial arts journey. While I enjoyed the sense of oriental culture that they offered I found their instruction no more enlightening than that of their Western counterparts. The best two instructors that I studied under were of Irish and African American extraction. I am of the belief that if a martial art is to be effective as a combative or self defense tool it has to reflect the demands of the times and the needs of the practitioner. I love iaido. It’s a beautiful art and the discipline that it requires does wonders in offering an occasion of self discovery. Still, it has very little relevance to modern self defense needs. I still teach defense against sword attack to my advanced students but I don’t expect them to ever face a katana wielding attacker. Of course, in the crazy times we live in there’s no guarantee. I have recently been honored with the rank of 10th Dan Hanshi through several national and international organizations but I have better sense than to step into a school in Japan and expect the 9TH Dan master there to fall down on his knees and kowtow to me. That doesn’t even happen here, though in my humble opinion… But then, again, that’s neither here nor there. Whatever rank I have been granted is recognized by my peers in the U.S., Europe and Australia. In spite of my fifty plus years in the arts I may or may not be recognized as a master by organizations in some Asian countries. That’s probably as it should be because, though many of my techniques are based on what I’ve garnered from various Asian systems, what I teach is patently American. It addresses the needs and the physical and mental attributes of occidentals. 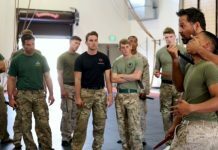 I teach enough kata to claim some connection to my classical martial arts heritage but what I expect my student to garner from them and how they are approached is uniquely American. I no longer teach the classical systems, not because I don’t appreciate them but because they don’t suit the needs of the type of student that I teach. Before leaving Chicago most of my students were involved in law enforcement, security, mental health or other such high risk occupations. They wanted to learn how to defend themselves or how to respond in a combative situation. Because of this my training regiment consists primarily of kyohan (basics) waza (short fighting forms), and ippon and nippon kumite (one and two step sparring). I leave jiyu kumite and randori (competition sparring) for the sporting crowd. Nothing wrong with competition. It just isn’t my point of emphasis. I respect every master of every classical martial art that exists. I admire their fidelity and their dedication to their master, their predecessors and their system. I feel the same way toward the original systems that I trained in, their founders, present masters and sensei. I just don’t teach what or the way I was taught The classical systems serve a purpose and fill an important niche. I don’t expect them to adhere to my ideas or philosophies, nor do I criticize what they do or how they do it. If it works for them and fulfils their needs it has served its purpose. I don’t seek recognition from systems, organizations or masters outside of my circle of peers. The masters and instructors I associate with share a similar philosophy and follow a common path. I only ask for the same respect from the classical stylists that I show them. I don’t require their approval of what I do. There was a time when I would challenge others who questioned my integrity or my ability. More often than not I left them broken and bleeding but unconvinced. Fortunately I’ve grown up and I understand that beating the snot out of someone doesn’t educate them and it certainly doesn’t change their direction. They will continue to do what they do and think what they think even if they do it battered and bruised. I have read in several blogs where people were slandering the knowledge, integrity, ability and honor of people that they have never met and don’t even know. As a minister I am discouraged from using graphic language so it would be difficult for me to adequately articulate my opinions of such individuals. Also, since I have learned that it isn’t expedient to give people of that ilk badly needed attitude adjustments I just shake my head and go about my business. You can lead a horse to water but you can’t hold his head under until he drowns. And I quote. I know and associate myself with some rather controversial martial artists. I have seen them being criticized and slandered by people who couldn’t stand in their shadows. They have never seen them fight and they have never crossed swords with them (which probably explains why they are still capable of running off at the mouth). I have seen some of these individuals fight. Most of them are exactly what they claim to be. They are exemplary fighters and teachers. What more is a martial artist required to be before he is recognized by the status quo? During the sixties and seventies Chicago and much of the rest of the Midwest was ostracized and basically ignored by the martial arts media and the rest of the martial arts community. That, in spite of the fact that Chicago had some of the toughest fighters in nation. Some things went on that were less than acceptable amongst some of the teachers and practitioners in Chicago but the entire city was black balled for the actions of a few. Unfortunately this type of trend still continues. Politics and martial arts snobbery still abounds. That shouldn’t be so. The martial arts should be a brotherhood. There is too much contention between systems, organizations and styles. People with different philosophies or who train in different ways for different reasons are criticized. No one has a monopoly on the martial arts. A person has the right to train in whatever style or system he wants. Who he trains under or who his style was initiated by does not determine how effective that person or his style is. Being old doesn’t make something more effective and just because something has been done the same way for a lot of years doesn’t make it practical. Many systems were designed to address the needs of the time. The techniques that they used reflected that. The hands were abused and heavily conditioned because they were used against people wearing armor. Flying kicks came about to address enemy on horseback. Does that mean that we should practice these same techniques today? That depends on the individual. Conditioned hands come in real handy for tamashiwari (breaking) demonstrations but they don’t necessarily make a person a better fighter. 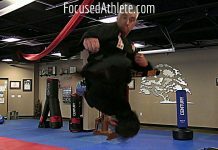 A karateka or taekwondo stylist may be able to leap up and kick the ceiling but that doesn’t mean he’ll be effective against a knife wielding aggressor. I’ve known individuals who could break stacks of bricks, fly through the air like a leaping cougar and lift massive amounts of weights but who couldn’t fight their way through a handful of kindergarteners. As I’ve gotten older I’ve had younger martial artists want to test their abilities against me. Many of them have never been in combat and they’ve never had to fight for their lives in brutal city streets. Everything they know about fighting they learned in the dojo. At sixty five years of age and with injuries that have resulted in several debilitating surgeries I’d still wager that I could knock their hats around backward. But that isn’t what the martial arts is about and it certainly isn’t what I train for. They want to spar with me to see if the art I teach is effective. Considering that much of what I teach is designed to disable, incapacitate and even cripple or kill, I don’t think that there is a way to satisfy their requests without someone being seriously hurt. They have yet to come up with a sport that advocates competition eye gouging and such like. Some arts don’t lend themselves well to competition. When soldiers are training for combat or police officers are preparing themselves to survive on the streets I don’t think that competition is one of their primary concerns. Competition won’t prepare them for survival for a life and death situation. Lastly, I would like to talk about what constitutes a master. By the time a person has stayed with the martial arts long enough to really become a master he is up in age. There are no twenty year old martial arts masters. That isn’t to say that a twenty year old can’t be an excellent martial artist. Some are but they aren’t masters. Mastery takes time. 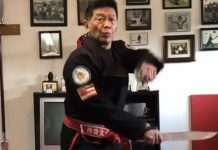 Contrary to what those old martial arts movies may lead you to believe there are no seventy year old martial arts masters going toe to toe with twenty five year old fighting champions. That only happens in the movies. I’m too old to fight in a tournament, even if I wanted to. That doesn’t mean that I can’t defend myself. I can’t fight a twelve rounder but I can give you pure hell for three or four minutes. Considering what I would feel that I had to do to defend myself against a younger opponent, the fight wouldn’t be pretty. If I had my way it wouldn’t even be a fight. A fight requires give and take. At my age I’m willing to give bit I don’t plan on taking much in the way of abuse. That means that, with my limited choices, my response would have to be violent, vicious and deadly. Such a scenario wouldn’t be good for anyone involved. Considering that most masters are getting up in years and can’t or won’t try to compete with the younger fighter it stands to reason that he is a master because of what he knows not because of what he can do. If you have the fortune to train with and learn from such an individual you’re trying to tap into the knowledge that he has. If you came to engage him in ritualistic combat or try him out to see what he knows you came to the wrong place for the wrong reason. A case in point. When Mohammed Ali came to Angelo Dundee he didn’t ask him to spar with him. Dundee was too old to be trying to fight a young contender who was still in his prime. That didn’t mean that he didn’t have anything to offer Ali. On the contrary Mohammed Ali was, in effect, sitting at the feet of a master. He came to him to learn what he had to teach him not to test his fighting prowess. Mohammed Ali became the world heavy weight champion and Angelo Dundee was an aging trainer. So I ask you; who was the student and who was the master? (You should have known that there’d be a test) If you said Ali I’m sitting here risking carpal tunnel syndrome for nothing and you’re educationally challenged. There are teachers, sensei and masters out there in every shape size and variety. They teach some of anything and everything an aspiring martial artists might want to know. 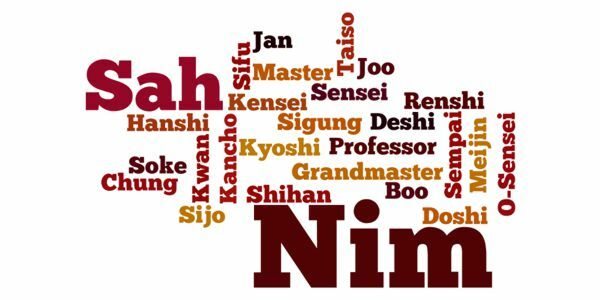 Because they don’t have an oriental cast to their eyes or have a Japanese, Korean or Chinese name doesn’t put there claim to the title of Renshi, Shihan, Hanshi, Sensei, Sifu, Guru or Maestro in question. If he teaches what you need well and effectively and he is able to back up his claims what do you care who he is sanctioned by? If a person offers you a million dollars are you going to check his pedigree to see if his fortune consists of ‘old money’? If you do you’re an idiot. If it spends it spends. By the same token, if his system works it works. He doesn’t have to claim lineage to some sage sitting on a mountain top in Tibet to be a viable martial artist, an excellent teacher or a martial arts master. Being a master has less to do with who you claim lineage to than with your own personal knowledge and experience. A master is a master because of what he knows not who he knows. If you want to be able to name drop pursue your journey with someone who offers you that opportunity. On the other hand if you want to learn an effective martial art or fighting system, find the teacher who offers what you need and follow him. In the end a title is just that, a title. The bottom line is does he have what you need and is he willing to offer it to you. If you find that individual, you’ve found your master. Follow him. Who knows? You might actually learn something.